Just Remodeled! 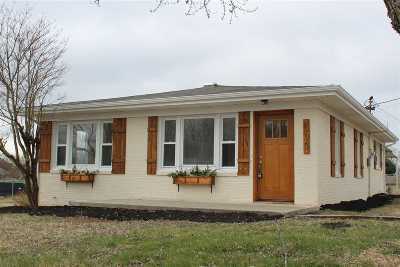 This Mid-Century Traditional Home has been remodeled inside and out, lots of new updates! The original hardwood floors (refinished) begin in the living room move through the hall way and into all 3 bedrooms. The Full Bath has been beautifully remodeled featuring new tile floors and surround the Shower/Tub accented by hexagonal tiles. The Kitchen features brand new flooring, cabinets, counter-tops, and appliances. There is a freshly painted full unfinished basement. Owner will install a New Heat Pump prior to closing.